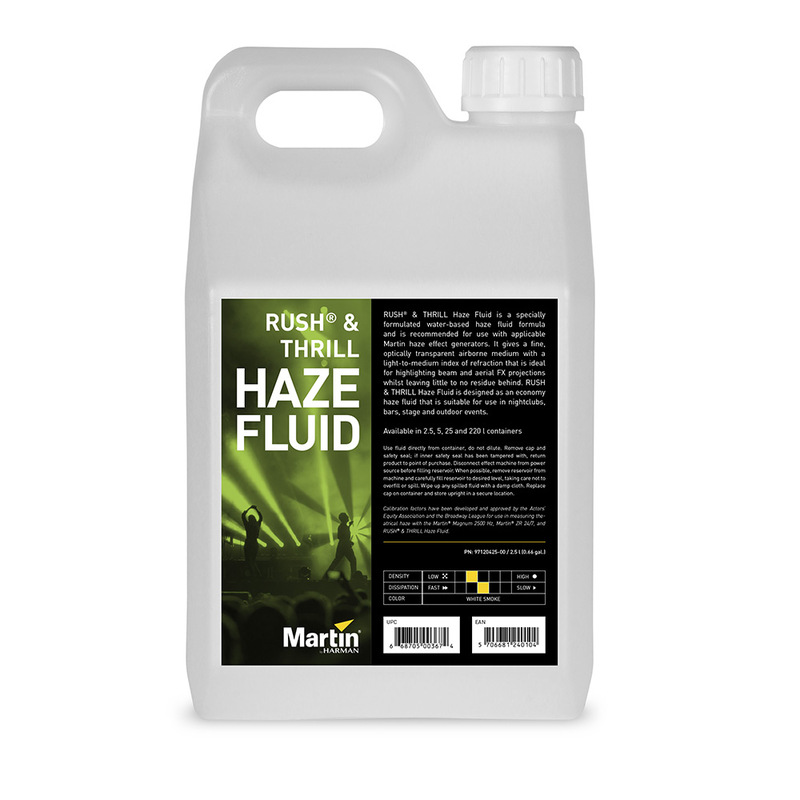 If you think all haze fluids are the same, think again. 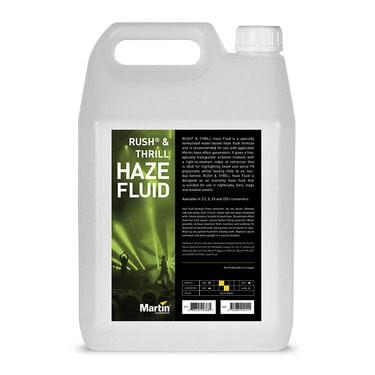 RUSH & THRILL Haze Fluid has been crafted to deliver exceptional results including our benchmark density, hang time, and pure white colors—while still remaining economical. 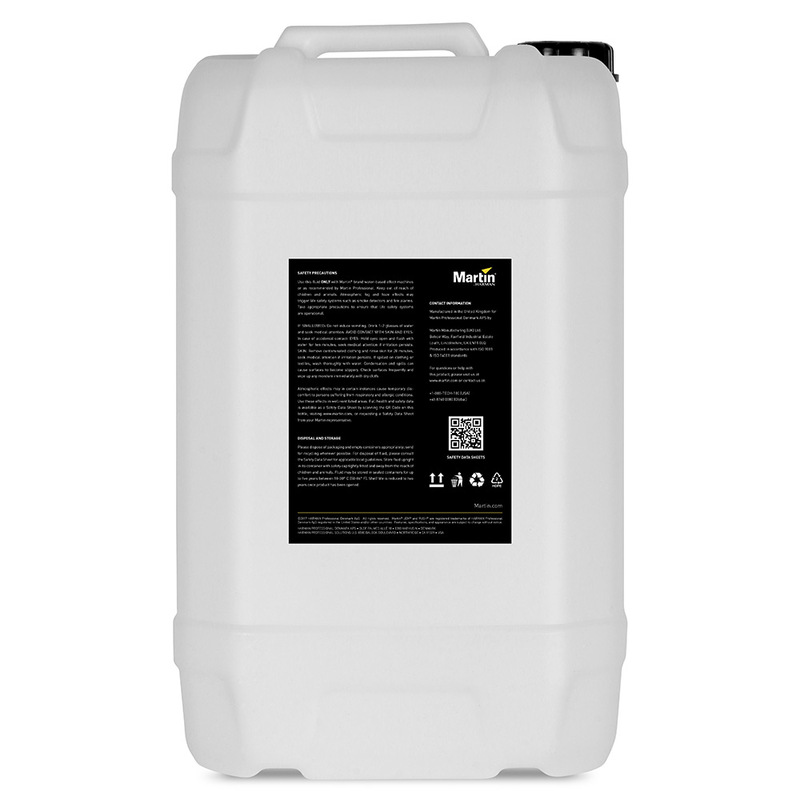 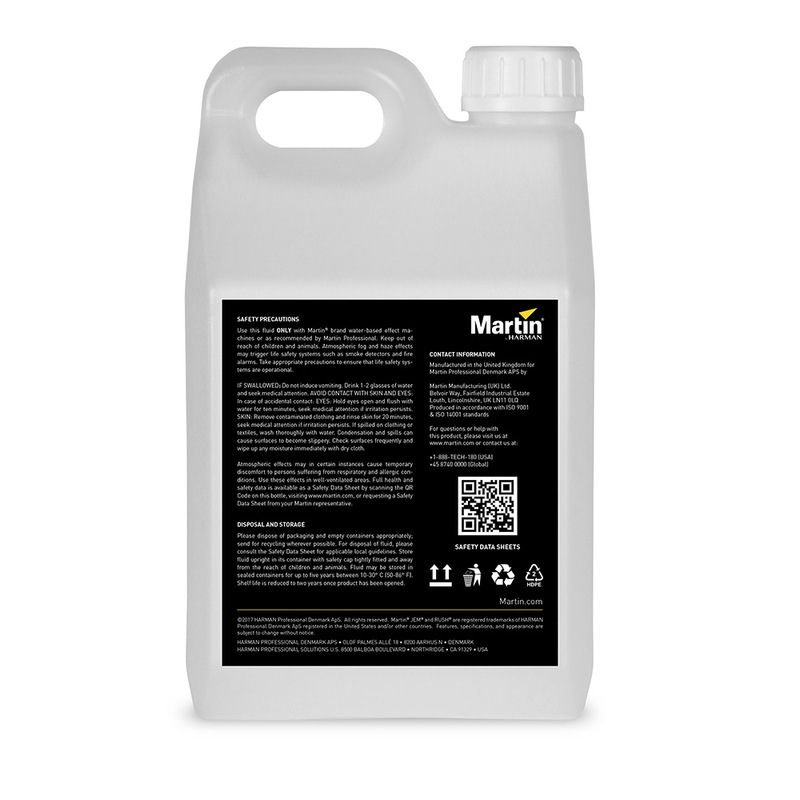 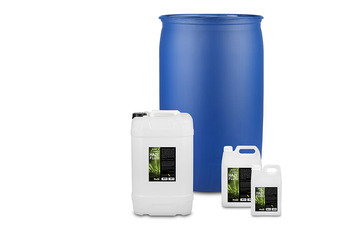 Our manufacturing process removes all mineral content from the fluid, ensuring little residue is left behind on your prized equipment and performance surfaces. 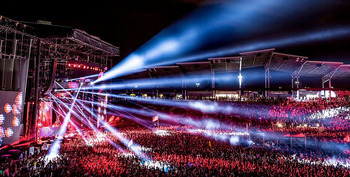 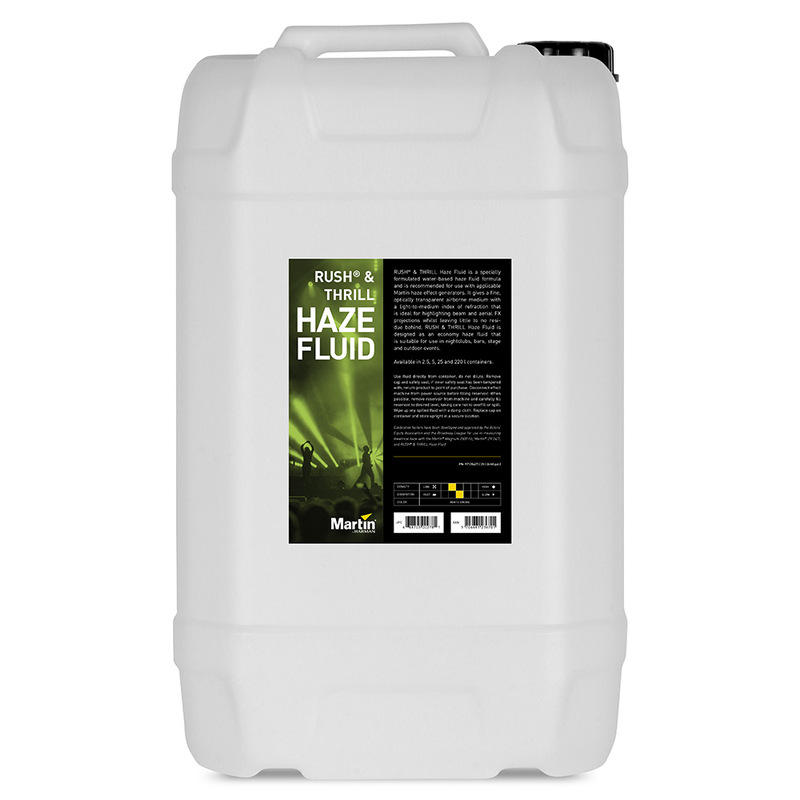 We also use the highest-grade active ingredients, and microprocessor-controlled heat exchangers to ensure that haze is produced safely for you and your audience. 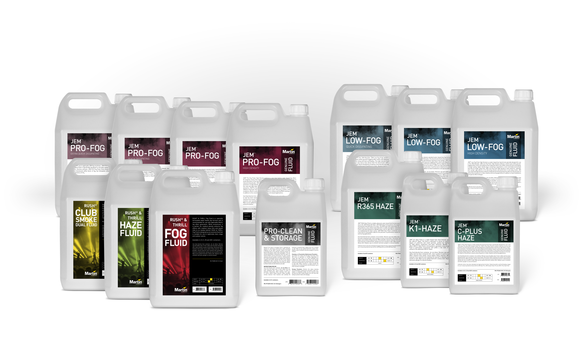 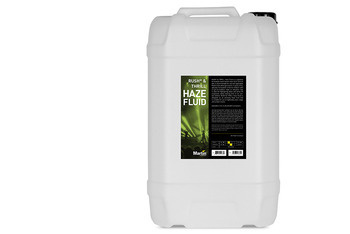 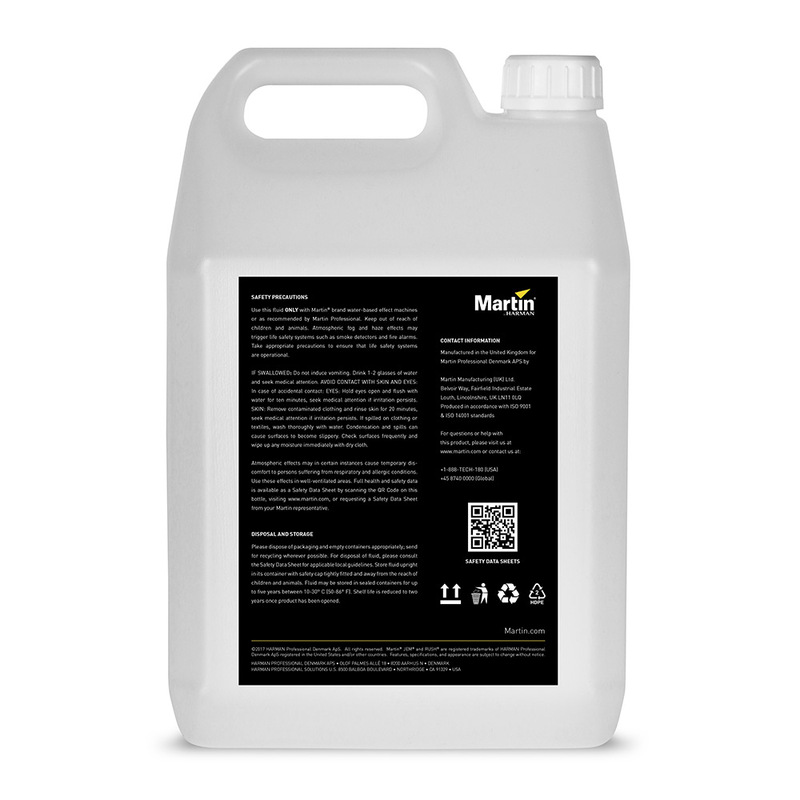 Martin RUSH & THRILL Haze Fluid has been tested to comply with the Calibration Factors that have been developed and approved by the Actors’ Equity Association and the Broadway League for use in measuring theatrical haze. 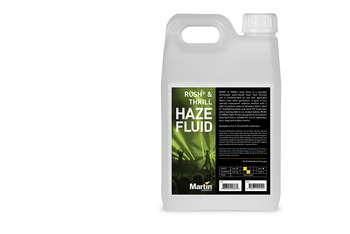 Martin haze machines and haze fluids are entrusted to perform night after night, effectively and safely. 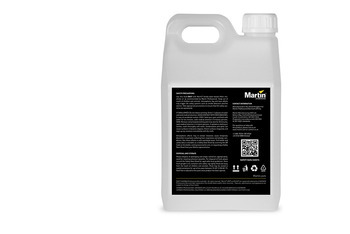 Put your trust in Martin brand effect products.